Includes 11 courses for $299/year. The full course is 66 minutes long and available in a number of affordable formats. 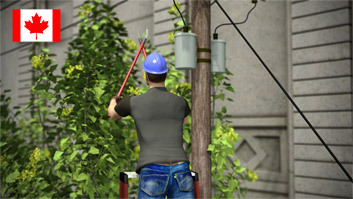 Fixed ladders higher than 6 meters must be equipped with fall protection devices. It's important to understand how to properly put on a body harness. Workers may use horizontal lifelines only if they have been properly trained and if the manufacturer's recommendations are followed. This course is intended for Canadian-based companies and individuals and meets Canadian regulations. Working at elevated heights presents a serious danger of falling. Falls can be caused by inattentiveness, slippery surfaces, working in awkward or out-of-balance positions, or insufficient training. This course highlights numerous methods of prevention and protection, including fall arrest systems, the equipment associated with fall prevention and protection systems, vertical and horizontal lifelines, as well as inspection and maintenance guidelines. This course also discusses associated topics such as the proper procedure for putting on a body harness, lifeline swing hazards, calculating fall space clearance, and harness suspension syndrome. Why is fall prevention and protection training important? Falls are a leading cause of workplace injuries and cause approximately 60 deaths a year in Canada. 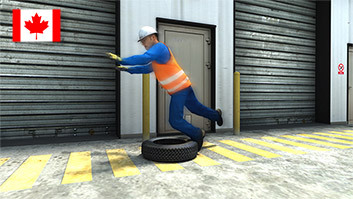 What are some lines of defense against falls and related injuries? Being alert, using fall prevention, and using fall protection. 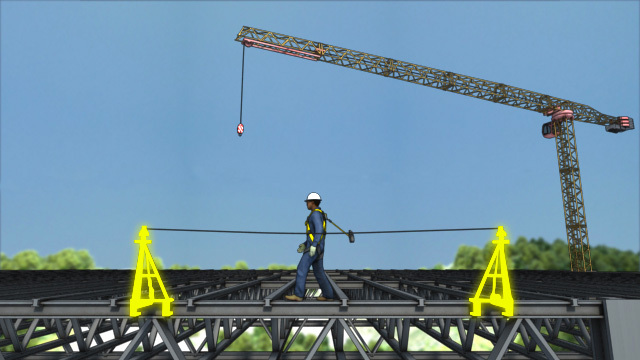 What is the goal of fall protection? Guardrails, rails on stairs, scaffolds, and covers on holes in the floor. To reduce negative effects of falls that do occur. 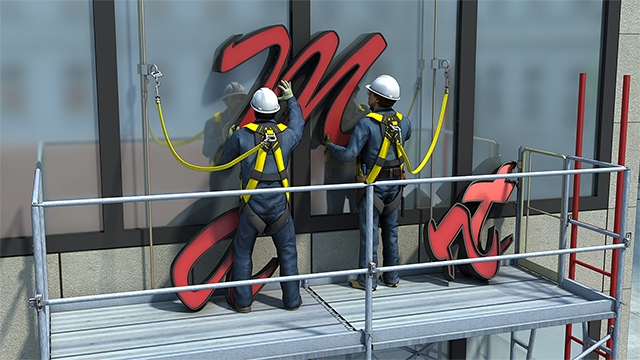 What equipment is used for fall protection? Harnesses, lanyards, lifelines, anchor points, and more. What is an anchor point? What fall protection harnesses are attached to. There are two types-temporary and permanent. 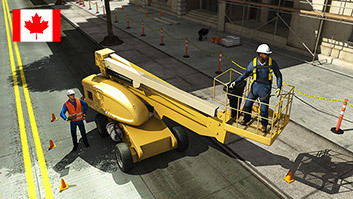 Is fall protection required when using lift equipment? Yes. This includes scissors lifts, lift truck-mounted personnel baskets, crane-suspended personnel baskets, and aerial lifts. The use of these is generally prohibited. They are allowed only in special circumstances and following special crane-specific regulation guidelines. What is the last line of defense when dealing with fall hazards? Fall protection-always try other methods (alertness, fall prevention) first. 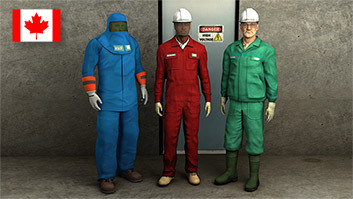 When should workers be trained about fall prevention and protection? When a worker is first assigned duties that might lead to a fall, when a change at the workplace renders that previous training obsolete, and when there is reason to believe the employee doesn't have the necessary knowledge. 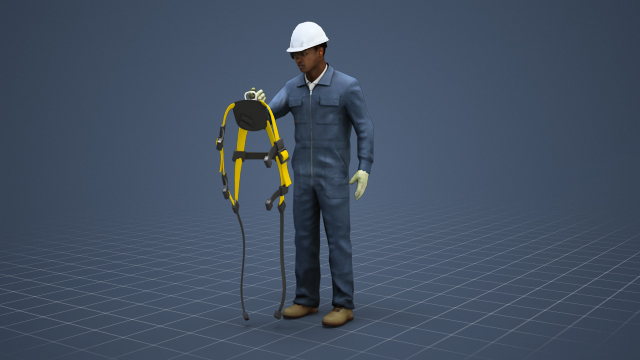 To help understand how to calculate the fall space clearance required, here is an example using a 1.8 meter tall worker, with a 1.8 meter shock-absorbing lanyard, anchored to a rope grabbing device, which is attached to a D-ring that is 1.5 meters above the working surface. 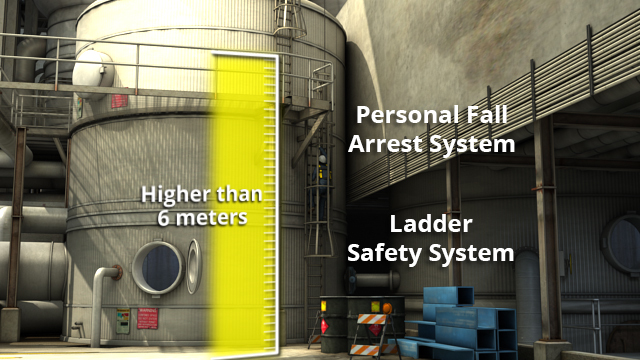 If the worker falls 1.8 meters, he will be 0.3 meter below the platform and the rope grabbing device will activate and fully lock after allowing about 0.6 meter of sliding. If the lanyard releases its maximum amount of length, 1.2 meters, plus an additional 0.5 meter of stretch in the lifeline, the fall distance will equal about 4 meters or 2.4 meters from the bottom of the platform.